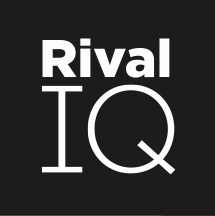 We take credit cards for monthly and annual payment in Rival IQ. To update the credit card on your account, click the gear icon in the lower left-hand side of your screen and select Account and Subscription settings. Then, click the Update Your Credit Card button to update your credit card details.